meant to photograph this last summer when we found it tacked to the barn roof under the cedar shingles we took off the roof. They were the original single layer of shingles that were put on when the barn was built in 1935. 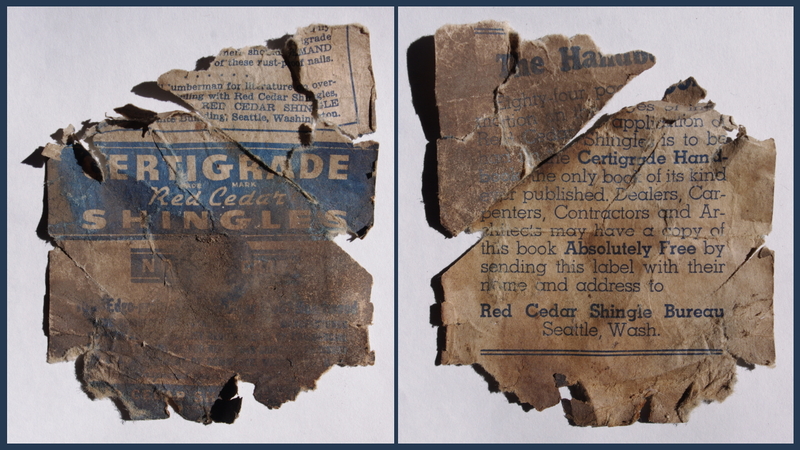 We found two such ‘tags’ for the shingles, and the other had a visible date of 1935 on it. I think those shingles paid their dues, with little water damage to the barn’s structure almost 80 years later. Anyway, I wanted to share this OLD slip of paper and document it here. Very cool find…you should frame them!